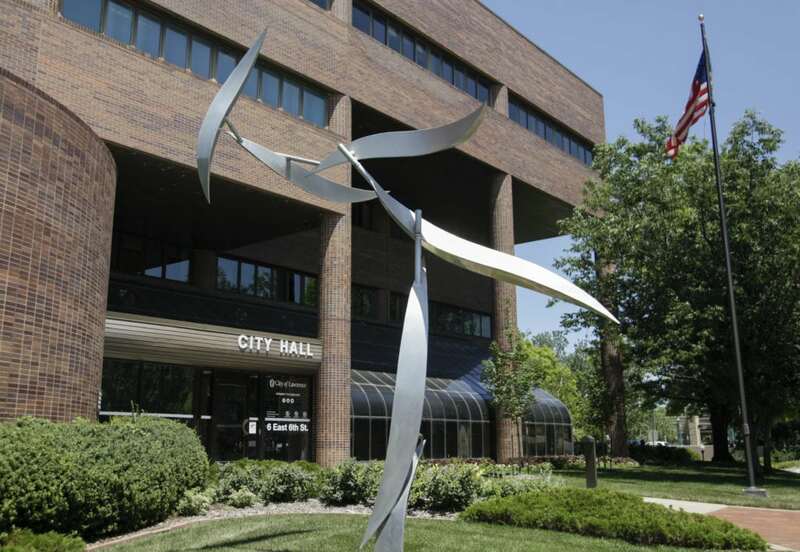 City leaders have voted to no longer offer bonuses based on seniority for future city employees and will be making changes to longevity payment amounts for existing employees beginning next year. At its meeting Tuesday, the Lawrence City Commission voted, 4-1, with Commissioner Leslie Soden opposed, to adopt a new policy for the city’s longevity bonus that will tier and cap the amount paid to qualifying employees beginning in 2019 and eliminate the payments for employees hired after Jan. 1, 2019. City management recommended that the difference between the two payment structures for 2019, estimated to be $64,000, be diverted to other compensation programs, such as increases in wages for merit and market adjustments. Mayor Stuart Boley said the commission needed to pay attention to recommendations from consultants that providing wage increases was more effective than providing longevity payments. Boley said he thought the changes to the longevity policy were a way to start addressing the city’s wage issues and that the commission owed that to taxpayers. Human Resources Manager Lori Carnahan cited a report provided to the city by McGrath Human Resources Group stating that longevity payments are not effective toward promoting efficient and effective services and that financial resources would be better spent providing market compensation to employees or enhancing a specific benefit available to all employees. Under the new policy, eligible employees not covered by a union contract will fall into one of four tiers, with the maximum payment capped at $1,000. Longevity payments will be $250 for five to nine years of service, $500 for 10 to 14 years, $750 for 15 to 19 years and $1,000 for 20 or more years of service. The current formula provides $48 per year of service for all employees who have worked for the city more than five years and would amount to more in payments over time than the tiered structure. The changes will not affect this year’s longevity payment amounts and all current employees will continue to be eligible for the bonuses going forward. As part of its meeting Tuesday, the commission also voted unanimously to approve the longevity bonuses for 2018, which will cost the city about $473,000. The city’s Employee Relations Council and the local firefighters union, Local 1596, opposed the changes and asked that the payments be continued under the current formula and offered to future employees. Several city employees spoke to the commission and said that they rely on the longevity payments as part of their income and that the payments help retain valuable senior employees. Carnahan said that, currently, the city’s merit pool increases vary in amount each year and have typically been 1 or 2 percent and at most 3 percent. Carnahan said the consultant was in the process of evaluating the city’s pay grades and individual salaries to determine if they are competitive and that report would be forthcoming. City Manager Tom Markus said that pay had to be addressed and the ongoing market study was the starting point. He added that, though the study is not complete, his thought is that regular wages won’t be found competitive and that the commission could discuss potential changes as part of the annual budget process. Soden said that she thought the city needed to address the merit pools and wage adjustments first, then consider changes to the longevity payments. The new longevity policy will also make the payments part of the compensation program as opposed to a discretionary decision made annually by the commission. Commissioner Matthew Herbert said he saw that as an advantage, as employees will know for sure what their pay is going to be each year instead of that decision being at the whim of the commission. The commission agreed that the payments should not be discretionary, and Vice Mayor Lisa Larsen and Commissioner Jennifer Ananda also both said they wanted to ensure that all employees were given a fair opportunity to receive merit increases in the future, and their fellow commissioners agreed.